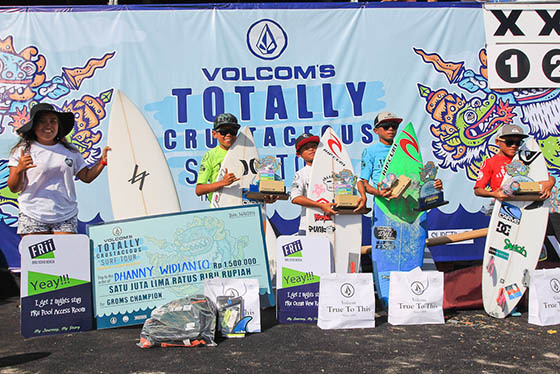 16 August 2016, Kuta-Bali: In an exciting finale to the Volcom’s Totally Crustaceous Tour Indonesian Finals 2016 at Halfways Kuta Beach last Sunday afternoon, Rio Waida claimed victory in the Pro Am (Under 21) Division, Ketut Agus took out the 16 and Under Division, Dhea Natasya earned the Girls Under 21 championship, and her brother Dhanny Widianto nabbed his second consecutive 13 and Under crown. 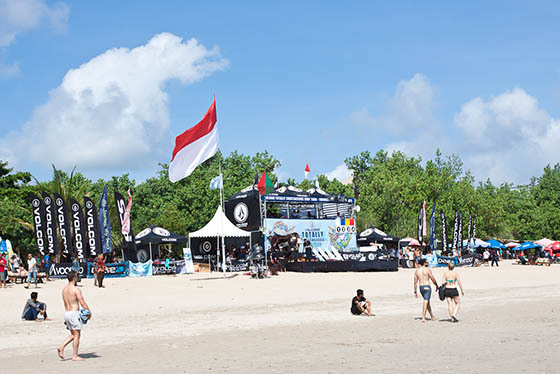 The day started off with 55 finalists from the two qualifying events earlier this year, Geckofish in Sanur and Flying Fish in Brawa, all taking on the smallish Kuta Beach waves in hopes of claiming victory in their respective divisions and coming home with their share of the Rp. 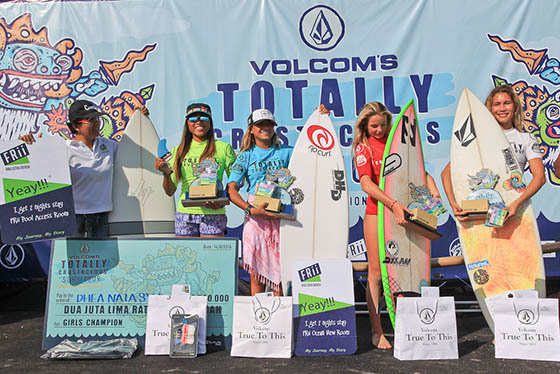 35 million in cash and prizes from Voodoo surfboards, FCS products, FRII Hotel vouchers, Carve sunglasses, Sunny Daze sunblock and Bali Wacks wax. 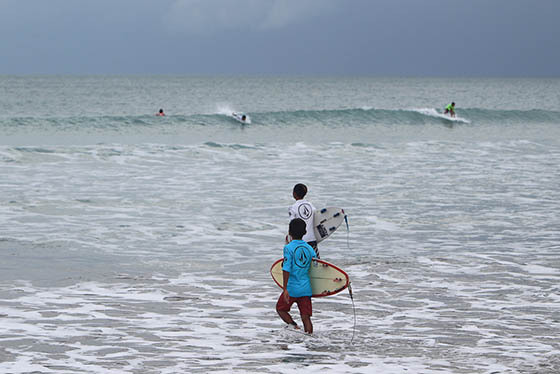 The future of Indonesia surfing is clearly very bright, as even though the first half of the day was cloudy with a threat of rain, by time the sun came out the action in the water was already on fire with Bali’s best boy and girl surfers showing off their amazing talents while their friends, family, and tourist spectators cheered them on. 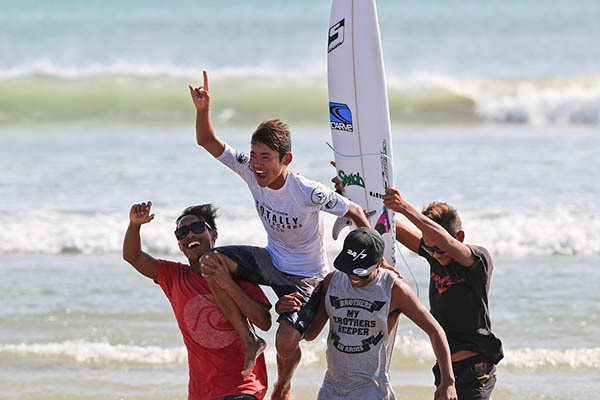 The Pro Am final was indeed the clash of the Titans, with last year’s winner Mega Artana battling it out with the Prince of Padma (and last year’s Under 16 champ) Raju Sena, past King of the Groms winner Andre Julian, and last minute wildcard entry Rio Waida, fresh of his biggest win ever at the King of the Groms/Young Guns event in California. 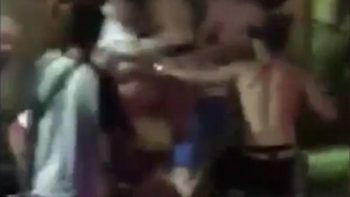 Raju Sena started off very strong and jumped into the lead with a couple of nice righthanders, using his patented air reverse moves at every opportunity, but soon Rio answered back with his own air reverse and jumped into the lead. He was chased constantly by Halfways local Mega Artana, but ended up putting the final away by blasting apart possibly the best left of the final for an excellent score of 8.17. “I have bit of jetlag and I wasn’t really prepared for this event because I didn’t qualify due to missing one event, but Ribut gave me a wild card at the last minute so ya, here I am,” said Rio after receiving his cash and goodies on the podium. 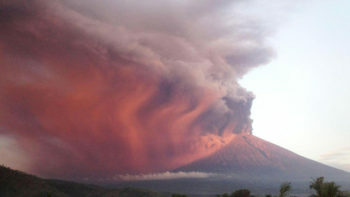 “And I’m so stoked that I won! 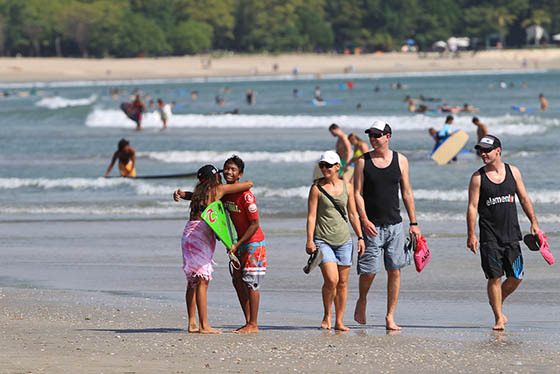 The waves were small but with the priority system we all had the chance to get waves, so it was still fun. 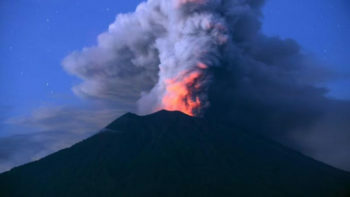 I just had to keep busy and hope to find the right one in the final. 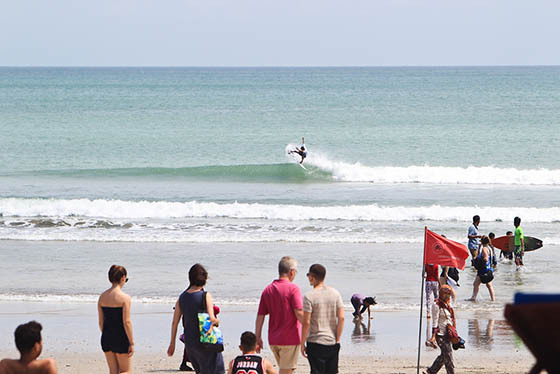 I’m really lucky to get that one wave for an 8.17, because Mega had first priority and he didn’t go, and that wave is what won me the final,” he explained. 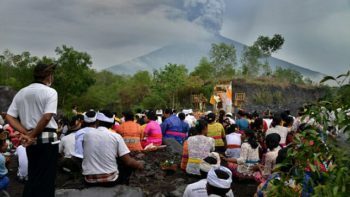 It was a family affair in the Under 13 and the Girls Division, with Dhanny Widianto winning the Under 13’s and his older sister Dhea Natasya winning the Girls. 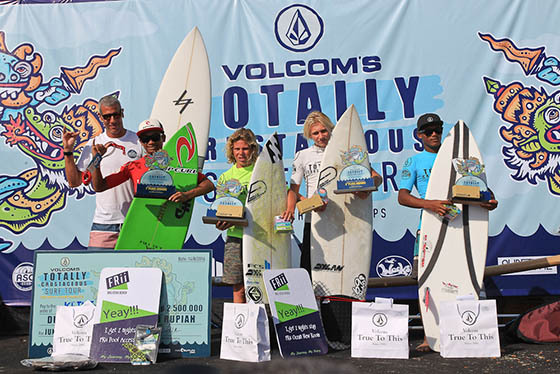 This is Dhanny’s second consecutive Volcom Under 13 championship, so he was super stoked, saying, “I’m so happy! I’ve been practicing a lot, and so I’m very happy to win! 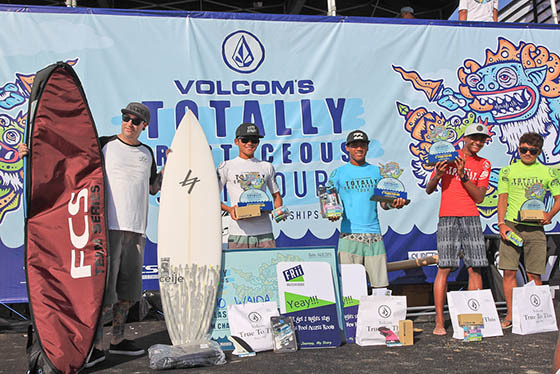 Thanks Volcom for making this event and for Halfways Boardriders and my family for supporting me.” Dhanny has been surfing for 6 years now, and was on fire winning every heat of the day and the final convincingly. 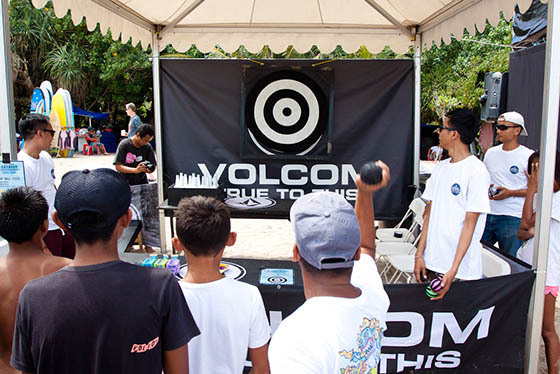 As is usual with all Volcom events, in addition to the surfing competition there are always great music, food, games and entertainment and this day was no exception. 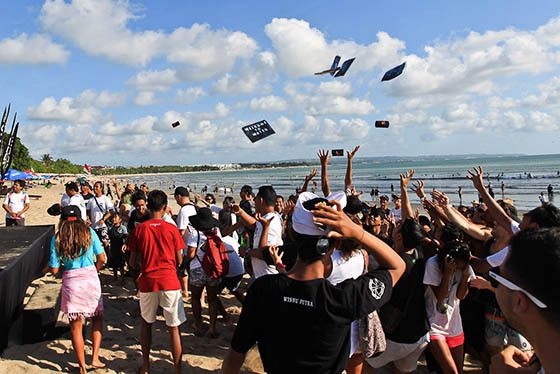 Everybody had a chance to win great prizes at the games booth, eat free hot dogs and hamburgers, watch a Barong Dance, and get showered with free goodies after the awards presentation. 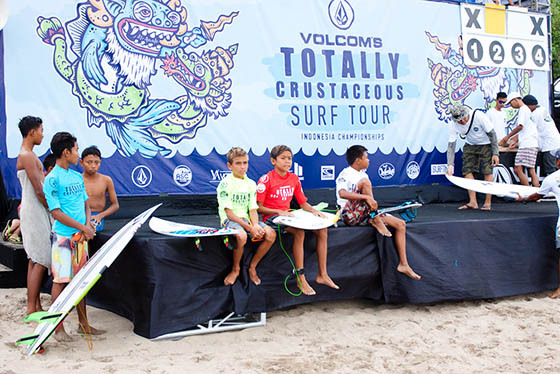 It’s been a classic Volcom event where the kids ride free and everybody goes home with something! 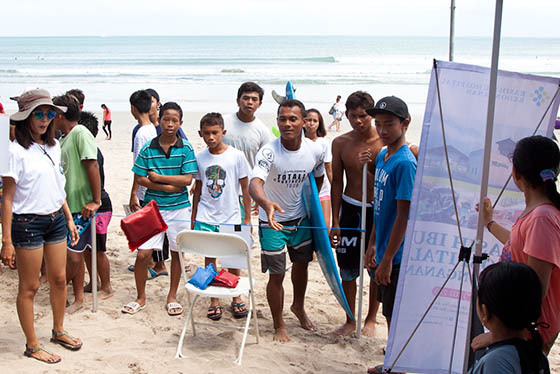 Note: This year the Asian Surfing Championships was sanctioned the Junior Under 16 Division, so these groms will get point in the ASC Junior Division towards their 2016 AS Junior Championship goals. 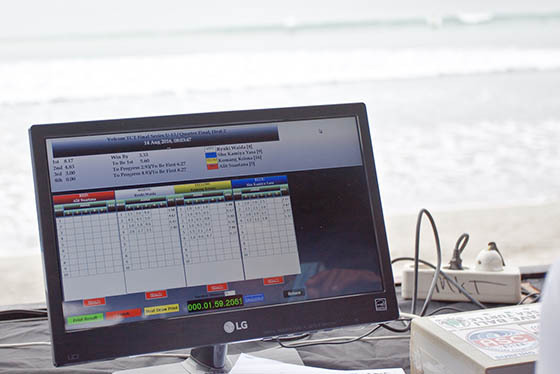 An ASC Head Judge officiated and the ASC computerized judging system was utilized in all divisions along with a 4-man priority system, helping to prepare these groms for competing in future professional surfing events. 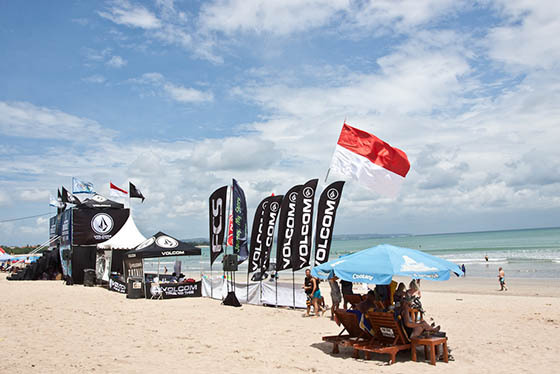 We would like to thank to Voodoo Surfboards, FCS Indonesia, Carve, Frii Bali Echo Beach, Bali Wacks, Sunny Days Zinc, Surftime Magazine & IndoSurfLife.com for supporting Volcom Totally Crustaceous Tour 2016.